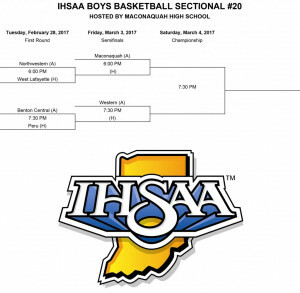 Maconaquah will be hosting the IHSAA Boys Basketball Sectional #20 on February 28th, March 3rd, and March 4th. 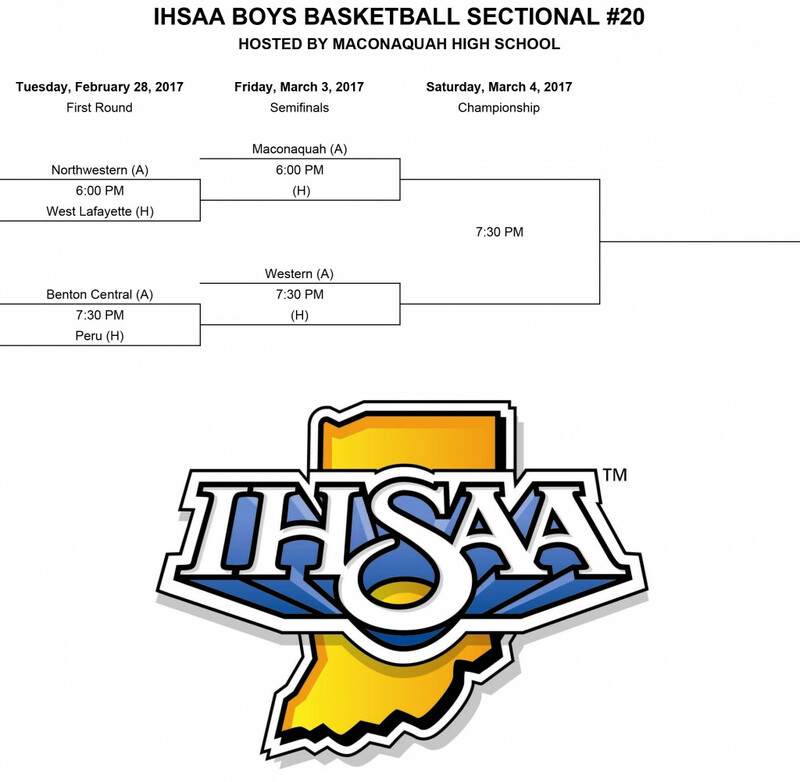 Admission will be $6.00 per game or $10.00 for an All-Tournament Pass. Gates will open 1 hour before the first game each night. Maconaquah All-Sport Passes and Golden Brave Passes will not be accepted.